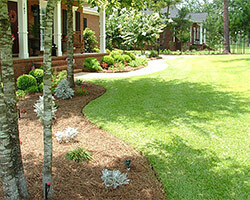 No other landscaper in New Bern, NC can equal our lengthy experience. We have served countless clients in this area, as well as those from other North Carolina cities. Through the years, we have managed to establish ourselves as leading landscaping specialists who have the right solution for every imaginable landscaping concern. Connect with us and we’ll show you how we can give you your dream landscape. Highly trained people. 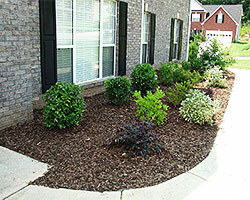 A lot of landscaping projects require deep and extensive knowledge of advanced landscaping techniques and principles. In such case, it’s wise to only hire people with unquestionable expertise and training. At King of the Greens, we have specialists, such as certified paver installers, horticulturists, licensed pesticide applicators, landscape designers, masons, and more. Complete tools and equipment. Manpower is one thing; muscle power is another. The great thing about us is that we have both. When we say muscle power, we refer to our complete landscaping tools and fleet of heavy equipment that we use to take on projects of varying difficulties. From hand tools to equipment, like graders, backhoes, and bulldozers, we have the right machinery to take on even the most challenging landscaping task. Systematic approach. Even the most experienced and knowledgeable landscaper sure needs a system to follow when handling any landscaping project. Our company follows a streamlined system that wastes no time and produces great results. We do client consultations and planning sessions before creating and presenting a project plan where everything from the materials to be used and the amenities to be installed is itemized. We then do the necessary site preparations before installing the outdoor features that clients want. We also do a final quality check with New Bern clients before declaring the job done. Versatile. In the landscaping business, it’s important to hire a landscaper who can work on all kinds of tasks. Incidentally, we can work on any type of landscape – residential, commercial, communities, homeowner associations, and municipal. Our versatility is one of the great reasons why we continue to get projects and win clients’ overwhelming trust and approval. Professionalism. No property owner would want to hire a company that has workers dressed shabbily, has bad customer service, and doesn’t maintain a clean workplace. At King of the Greens, we have always treated our clients like true royalty by giving them our highest respect. We always report for work dressed in proper clothing, address our clients courteously, and make sure that we never leave any mess behind when we leave the site. In our lengthy experience as a landscaper servicing New Bern and other NC areas, we have witnessed how many residents forego hiring landscapers due to budget constraints. As such, we have always made sure that we maintain competitive rates for the services that we offer. We have specific packages that target different budget capabilities, so clients can avail professional landscaping services at rates they can afford.